Dave Freeman has guided canoe trips in the BWCA for many years, and is one of the foremost wilderness expeditioners and educators of this era. He and his wife, Amy, were named National Geographic Adventurers of the year 2014. Dave's heart is very close to the Boundary Waters. He is passionate about sharing this place with people today, as well as protecting the BWCA for future generations. 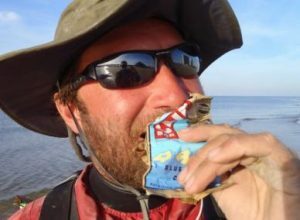 Closer to home, Dave has circumnavigated Lake Superior and paddled the length of the Mississippi. 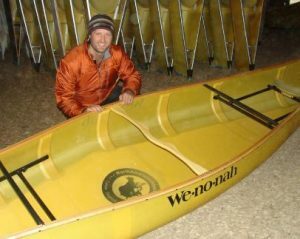 He and Amy paddled and sailed 2,000 miles from Ely, MN, to Washington, DC to celebrate the 50th anniversary of the Wilderness Act while raising awareness for protection of the BWCA. 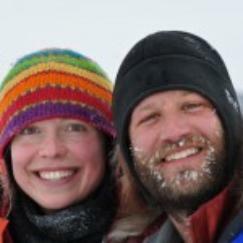 Most recently Amy and Dave spent 366 consecutive days in the BWCA bearing witness to this unique region while highlighting its fragility and beauty. Click here to learn more about their Year in the Wilderness. Dave is the Founder and Executive Director of the Wilderness Classroom Organization, a nonprofit that introduces thousands of students to the world’s wild places with interactive online learning experiences connected with his expeditions. Originally from Western Springs, IL, Dave graduated from the University of Colorado at Boulder with a Bachelor’s Degree in Biology and Anthropology. Ely Outfitting was professional, friendly, and in every way exactly what my novice self-guiding team wanted in an outfitter.